Bonnie’s Leader and Ender Challenge is also about cutting down on waste and she clearly explains her motives in this post. She is also re-purposing a ruler – using a Dresden plate ruler to make tiny tumblers from a 2.5 inch strip! Mine are cut from a 4.5 inch strip so I will finish fairly quickly. 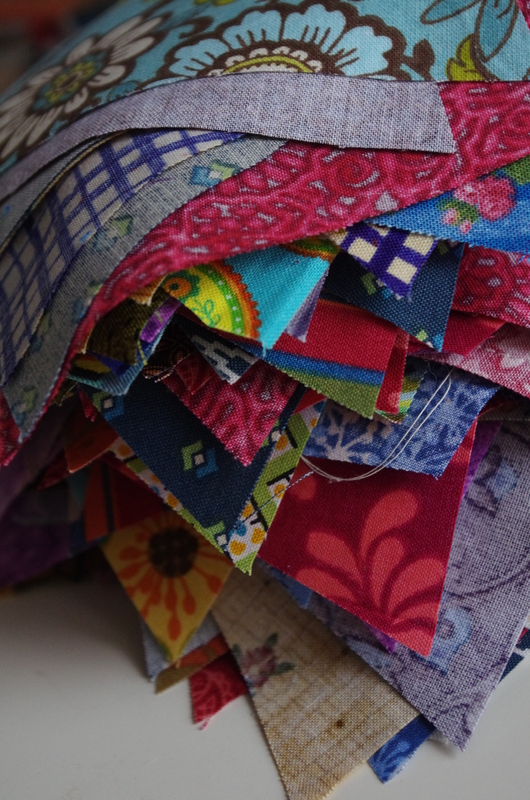 The idea, in brief, is to use the tumblers as bridging pieces of material between your projects when you are chain-piecing instead of a thread bunny and to avoid leaving long tails of thread that can clog up your machine. I have been making blocks for the RSC15 Challenge, The Block Lotto and improvised log cabin blocks for my second entry for The Global quilting Project 2015 so I have already put together nearly half of my tumblers. It is going to be a large lap quilt for the settee as the one on there at the moment is a lightweight summer quilt in bright colours and I want a heavier warmer one in more muted shades, I have bought an old but good condition wool blanket from a charity shop for the wadding. So I am using up neglected fabric, saving thread by using the tumblers as leaders and enders, re-using an old blanket, re-purposing a ruler, having a warmer quilt so I don’t put on the heating unnecessarily and making more than one quilt at the same time. If only I hadn’t given away my Nan’s treadle Singer sewing machine I could have saved electricity too! I think that covers ‘Reduce, Re-use and Recycle’ pretty well, don’t you? You really get high marks fro re-everything. It will probably turn out to be an I Spy quilt, so it can double as a game as well. 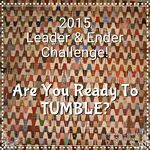 Why don’t you do tumblers?